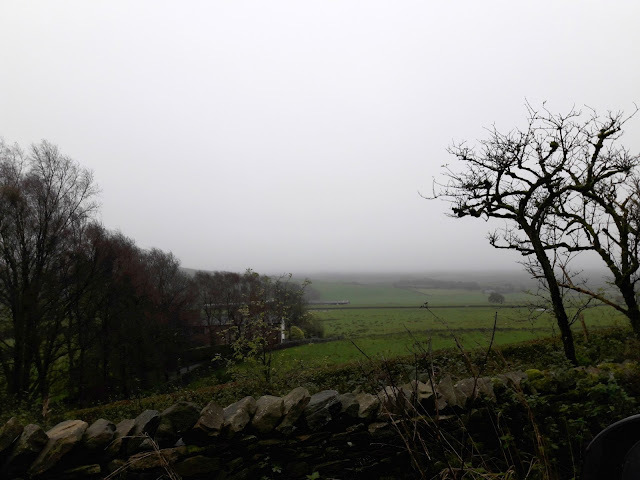 The farm where the Poll Dorsets live is just outside Lancaster, not far from where Kate's shop is in the city centre, so the yarn that Kate sells really is local yarn! 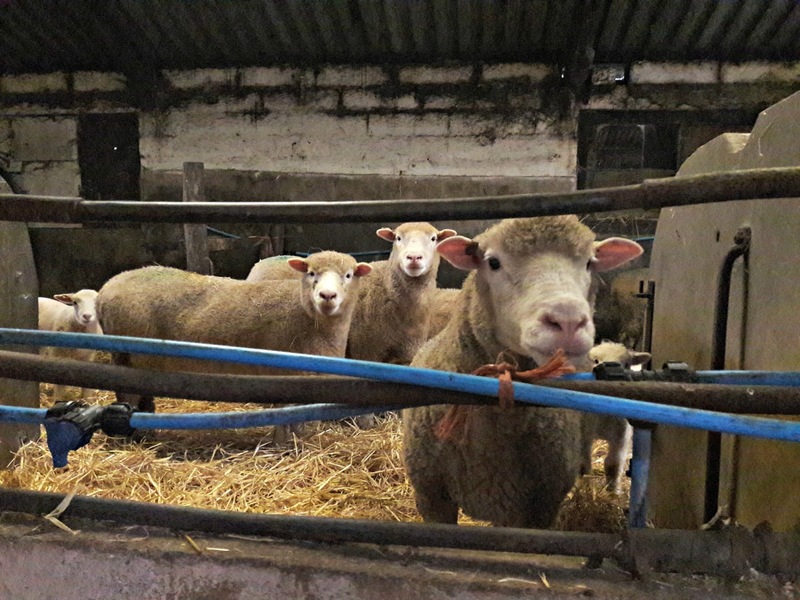 When we arrived, the rain was blowing in sideways gusts and we were glad to get straight of the car and into the barn where the fleeces were - and these inquisitive ladies! 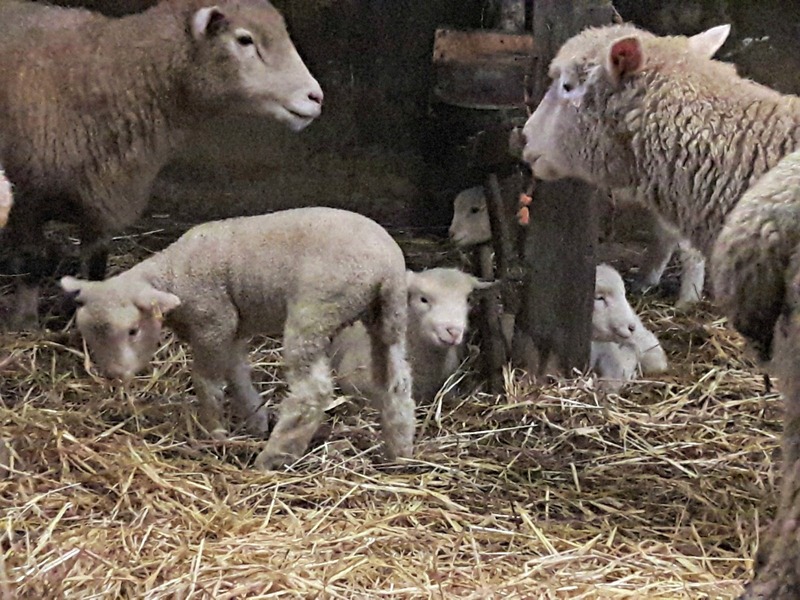 they all had lambs! 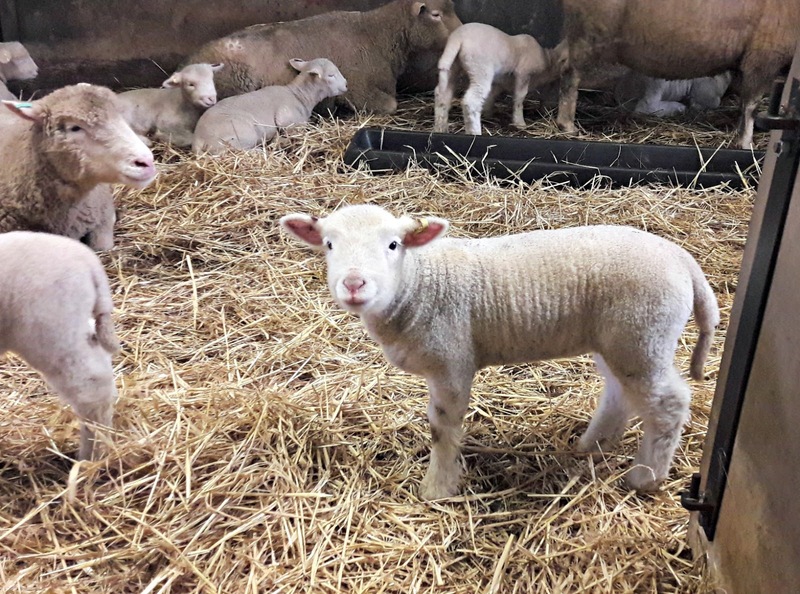 We weren't expecting to see any so late in the year, but Lyn the farmer told us that Poll Dorsets can lamb all year round unlike most sheep breeds which only lamb from January to May. Small daughter was delighted to see them, as were Wendy's two boys, and they all spent a lot of time leaning over the fence to watch them. 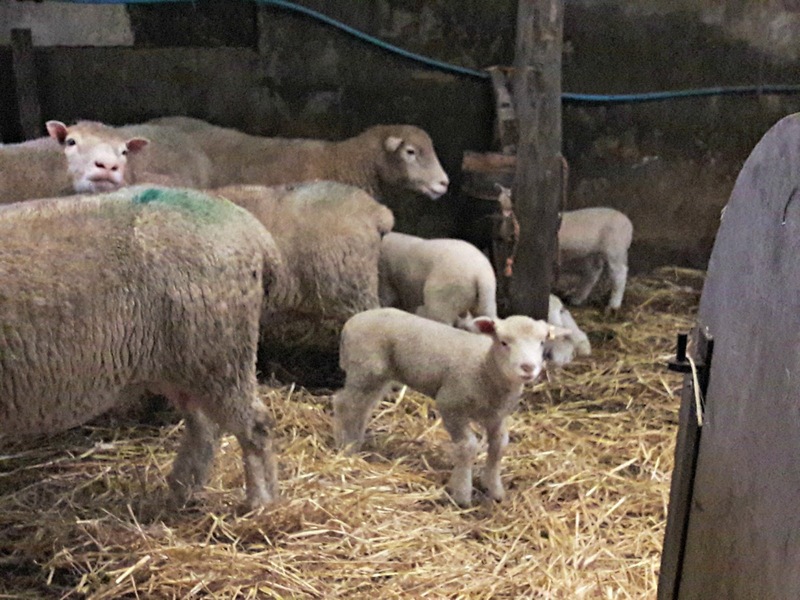 Lyn told us that usually, the lambs would be outside as well at this time of year but the weather had been particularly nasty that week so they'd been brought inside to keep them safe. 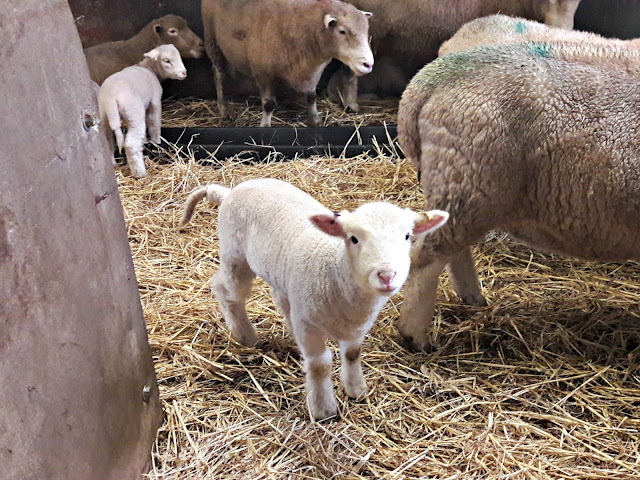 We reluctantly left the lambs and their Mums to themselves and went back into the main part of the barn to make a start on sorting the fleeces. Lyn is extremely knowledgeable about all things sheepy and chatted with us for quite a while about sheep husbandry and farming. Despite the name, lambswool isn't from the little gambolling bundles in the photo above but is from any sheep that hasn't been shorn before as that's the softest the fleece will ever be. Once the sheep has had it's first cut, it's known as a shearling and then a gimmer when it's between it's first and second shearings. Lyn has a couple of different sheep breeds on the farm, but it's the Poll Dorset fleeces that Kate uses for her yarn. 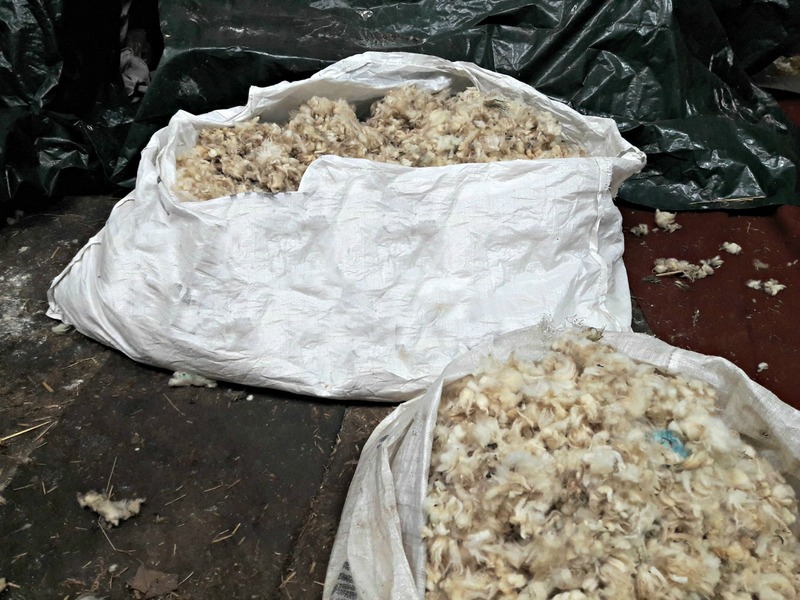 She had already been through the fleeces once but there were still two bags that needed sorting through to make sure that no precious lambswool had been left behind. And these were Bags with a capital B. They were huge! 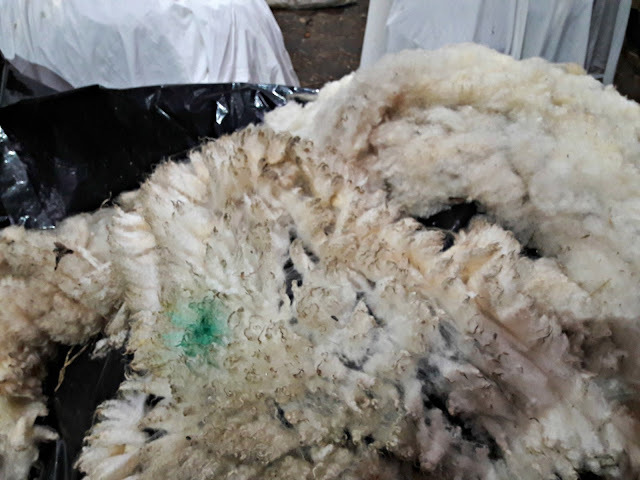 This is what the fleece looks like when it's first sheared from the sheep. This is actually a different breed of sheep to the Poll Dorset, but you can see that this is still a long way from being anything that you'd want to knit up. 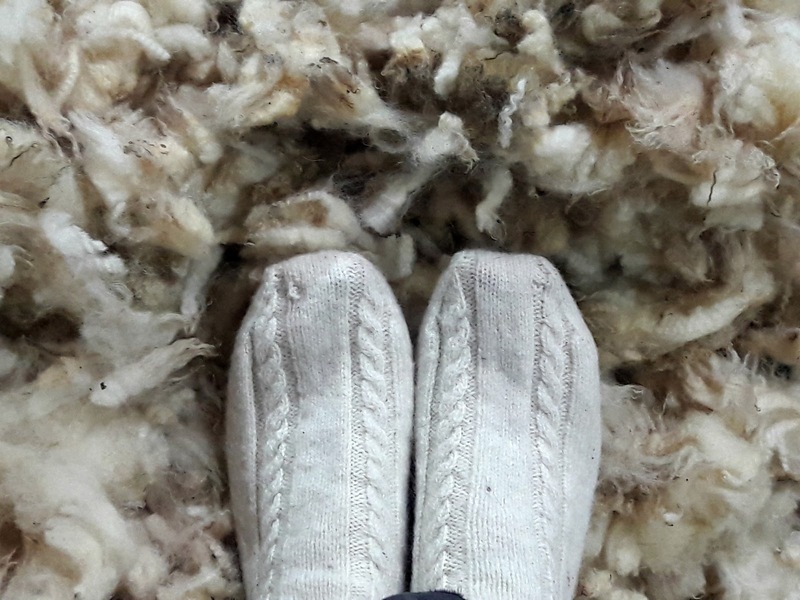 From the farm, they go to be washed and scoured to get rid of all the dirt and impurities; it's known as "greasy wool" when it's like this because it does indeed contain grease, including lanolin. Our hands felt very greasy when we were working, and they shone with it too - but they did feel nice and soft! Kate had already been through the fleeces once but still needed to go through them again in case she'd missed anything. 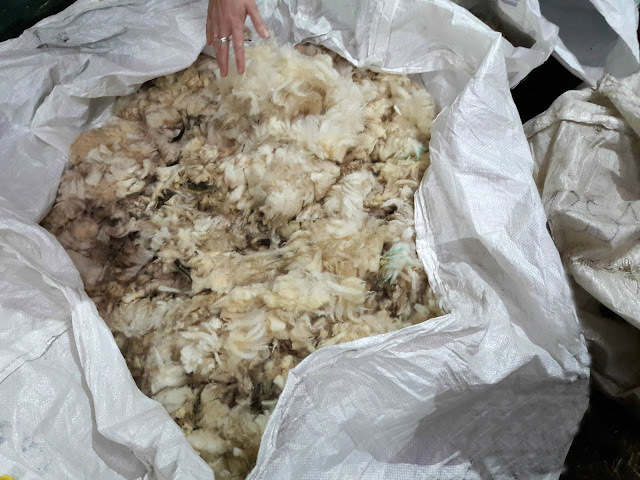 This is what lambswool fleece looks like - a bag of little bits! Although you wouldn't think so from looking at the tightly curled fleeces of the ewes in the earlier photos, Poll Dorsets have a long staple length on their fleeces which make it perfect for spinning into yarn. 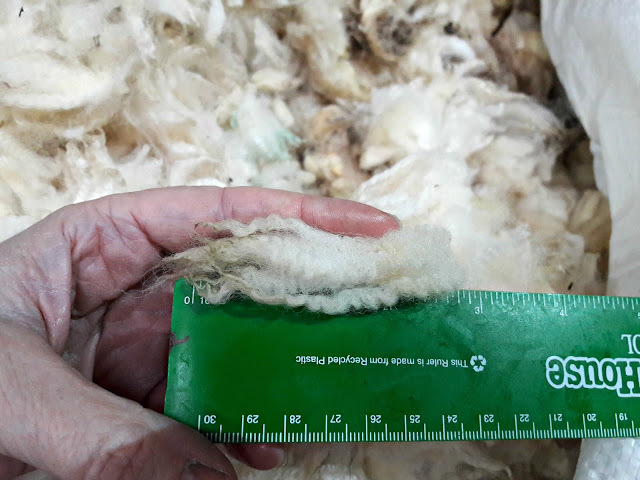 Staple length simply means how long the wool is from where it is cut to the very end. Ideally, it should be around 2" (5cm) so that it lies smoothly in the same direction as the rest of the fibres. As you can see in this photo, this piece was nearly 3" long which is just right for lovely yarn. There were a lot of shorter pieces in there too, some of them just because that's how they grew, and others caused by "double cutting" which is when the shearer makes a second pass (goes back over the fleece twice) to make sure that they've got it all off. These aren't what you want in yarn as they are too short to lie in the same direction as the rest of the fibres and can stick out, making the yarn scratchy and not as comfortable to wear, so they were discarded. 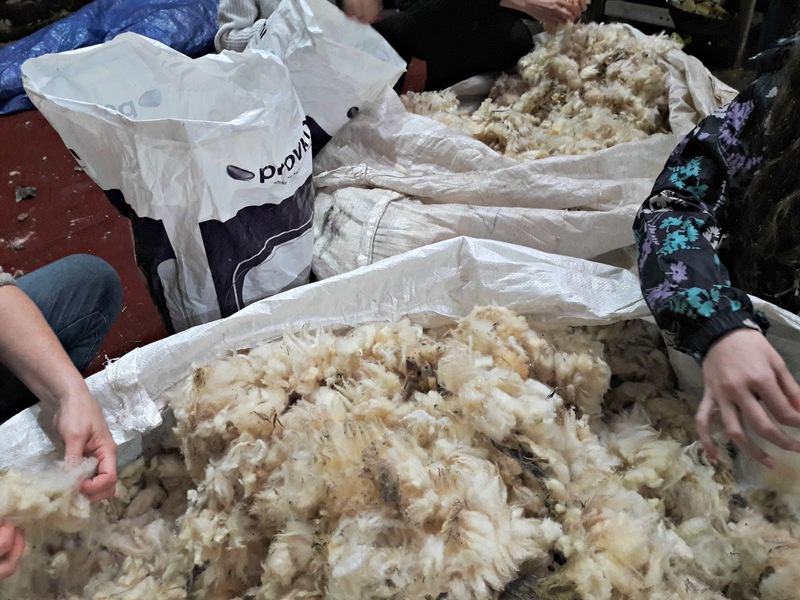 There were six of us in total, painstakingly working our way through the bags to pull out the longest pieces of fleece, and then going back through it again to make sure we hadn't missed any. There were several lamb-viewing breaks and a picnic stop but to their credit, the young people worked for much longer than I thought they might do and we were finished by the time Kate needed to pick her girls from school (no half-term holiday for them that week so they missed out on the sorting fun). And time for a tea-break too! Wendy and I had been abandoned for the lambs at this point, but we've got all of the useful stuff out of the bags. What's left will go to the Wool Marketing Board to be sold on; although it looks as if there's still plenty of it left, it's worth very little to Lyn as the price of fleece is so low - sadly, the story for lots of farmers for around the country which is why I like to try to do my little bit to shout for British breed yarns. 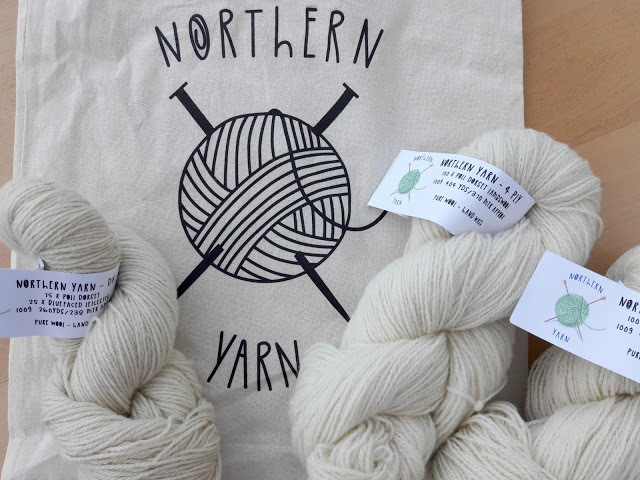 The new Northern Yarn Poll Dorset Lambswool will be available later in the year so if you fancy trying it out, it's worth signing up to Kate's newsletter so that you can one of the first to know about it when it comes back into stock. You can do that either through the Northern Yarn website or by clicking here. 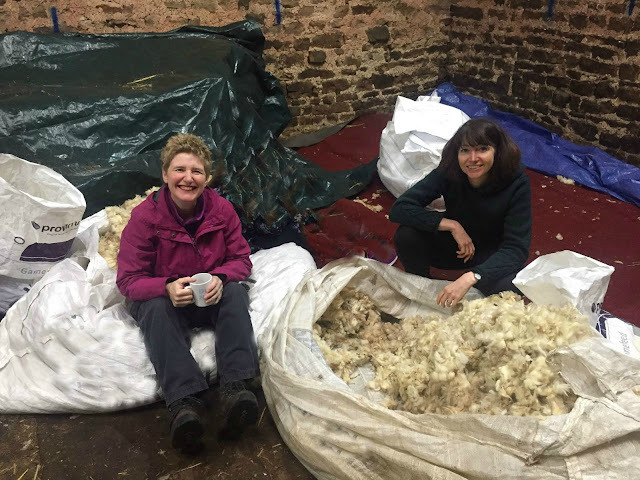 I'm very grateful to Kate for letting me be part of her day and get my hands on the fleece, and it was lovely to meet Wendy too - we're already planning our fleece sorting party for next year! 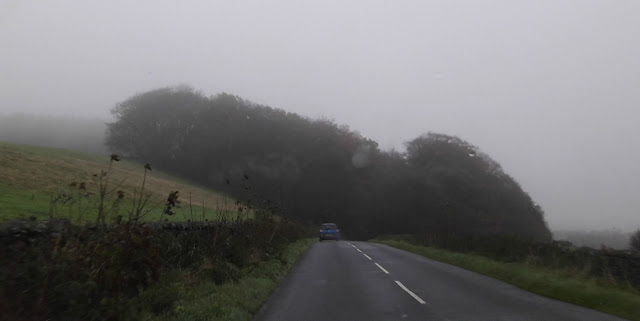 Thanks for your post about the sheep and the fleece. It was interesting to me. Really enjoyed reading your post. 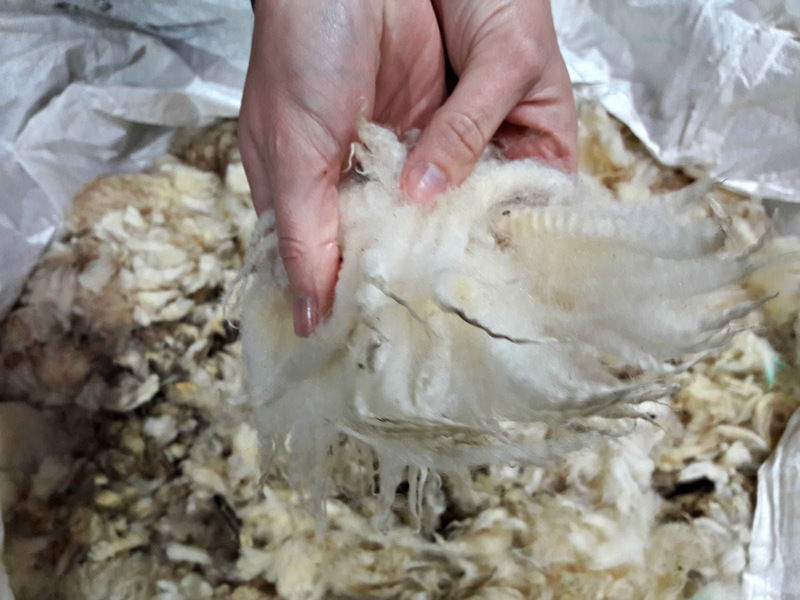 So interesting to hear more about the fleeces and the sorting process. Thank you for this lovely post. 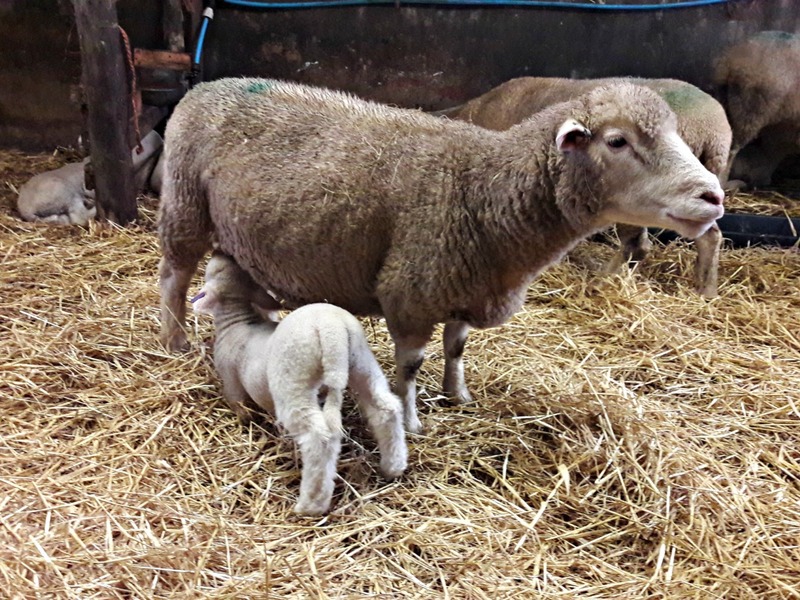 The sheep are gorgeous, especially the lambs. And it's really good to be reminded of the sheep, fleece, yarn, sock link. I wish all woollen yarns had a picture of the source sheep on the label! And perhaps if synthetic yarns showed a barrel of oil or an oil rig, it might do something to adjust our yarn-purchasing behaviour. I loved your post about the sheep and fleeces. 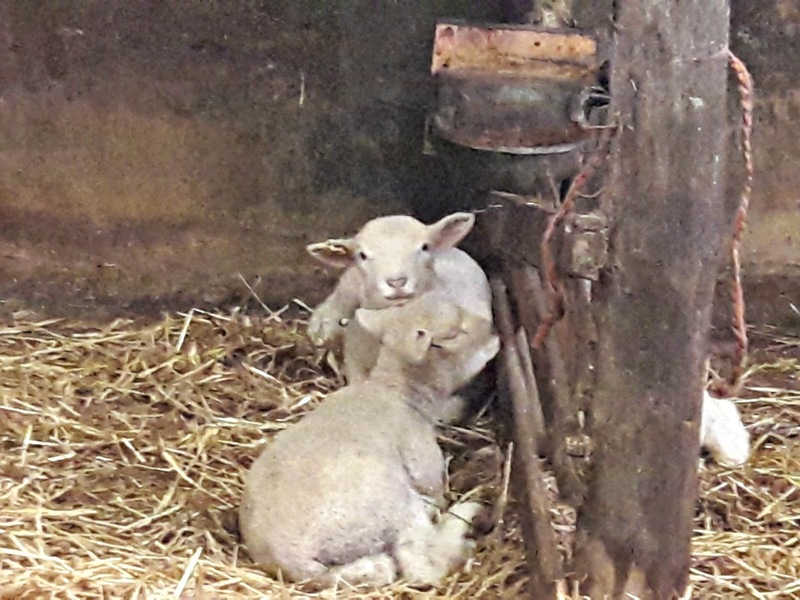 Those lambs are adorable. Can't wait to get some of that wool to spin. A lovely post, reminds us all that we need to support our British farmers more. wishing Kate and Lynn lots of sales from the lovely wool. i too love to support my wool industry which is here in australia; loved the heavy lambs post & it was interesting to read that there is a bit of waste wool, which i never knew. i also don't like acrylics, especially when there is good quality wool out there. i support Bendigo Woollen Mills in Victoria; 200gram balls for less than $15. to me is a damn good price for their classic range. sock wool is a little more expensive but still a good price. Acrylic wool suits a lot of people's budget and taste very well so there will always be a market for it - and some people can't tolerate wool either, of course - but I always like to know what my options are which is why I choose to write about wools and yarns that might not be as well known. Really interesting post as always. I loved the lamb pictures especially! !